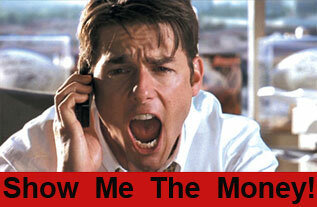 Since that movie, based on factual happenings, the world of politics has demanded that we follow the money. Today I received my second mailer from Lane Grigsby, owner of Cajun Constructors. The mailer says: Be Informed, Get Involved. I visited his website and read about his passion for changing our community and the need to get involved politically by being informed and voting. He is to be commended. Yesterday I received a phone call that asked if I knew what the mayoral candidates were spending their money on. These two events led me to do some research. If you want to view campaign finance reports, you go to the ethics website and search any political candidate. The result is a list of income and expenditures. Viewing the mayoral candidates certainly shed some light on the mayor’s race. Mayoral candidate Wayne Carter doesn’t seem to be spending much money, with one large contribution for $10,000 from the Republican Party. Mayoral candidate Day Kyle had a similar report showing a contribution of $10,000 from the LA GOP with little expenditure. Mayoral candidate Ron Johnson had an interesting contribution from Cleo Fields for $1,500, loaned himself $750 and had nominal expenditures. Kip Holden shows $13,513.00 in flowers was listed as in-kind contributions — that is a huge amount of flowers! There were 14 expenditures listed as flowers ranging from $491.00 to $1,537.38. Why so much? What were these flowers used for? Or who were they given to? Seems odd. Kip Holden shows $12,390.00 paid to LSU for tickets and parking — are these really campaign expenditures? Do you think his contributors intended to pay for his LSU tickets and parking for 2007 and 2008 in lieu of necessary campaign expenses? This paled in comparison to Southern University where Holden only spent $806.00. Still, is this a legitimate campaign expense? Kip Holden spent $6,132.00 for Camelot membership dues. Again, is this a legitimate campaign expenditure? Kip Holden spent $2,000 in car repairs. What vehicle was repaired? Doesn’t he use the city vehicle 24/7 with bodyguards? Is he ‘charging’ his campaign contributors for the repairs of a city vehicle? If not, whose vehicle? In my opinion these types of expenditures prove that Mayor Kip Holden has no regard for other people’s money. Campaign contributors expect their hard earned money to be spent on the required debts necessary for an election, not for frivolous luxuries. It begs the question. Holden’s opponents have called him a tax and spend liberal. His own campaign finance report proves this true — once again. This small piece of information took me about an hour to find. I don’t have time or the inclination to look closer. I’ve seen enough. Mayor Kip Holden is a spendthrift. He spends our tax dollars on needless luxuries like 24/7 bodyguards and a Lincoln Town Car. He spends his campaign contributor’s money on flowers, LSU tickets and someone’s car repairs. His commercials say his records speaks for itself – well, so do his campaign expenditure reports! We don’t need a tax and contribution spendthrift. We need a Mayor that is free from union control and endorsements and that will SAVE the taxpayers, be wise when spending their campaign contributions, and cut the budget to find the dollars necessary to meet the needs of the citizens of EBR Parish. I’ve had enough of Holden and his plans to increase our taxes and spend our money with no regard because he didn’t invest a dime of it – how you spend other people’s money is a true reflection of your priorities and regard for others. The position of Mayor-President is not a ‘whatever makes me feel good’ position. Holden, obviously, doesn’t understand this fact. Go to the polls Saturday. Put a hold on Holden! Choose another candidate – Dan Kyle, Ron Johnson or Wayne Carter. There are other choices — regardless of the myths the media has concocted. Holden is beatable if we do as Grigsby said: Be Informed, Get Involved.